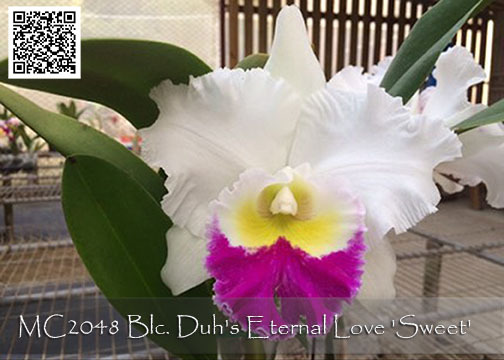 A new clone from the famed Cattleya hybridizing at Duh’s Orchids! Large heavy substance pristine white flowers with beautifully ruffled undulating petals are the perfect backdrop for the crowning glory of a ruffled deep pink lip and yellow throat. Very fragrant and a free-bloomer, this is one white that belongs in every Cattleya collection. Highly Recommended !